Recently I did a little side project to improve the website for a non-profit animal shelter in our town. The existing site was an outdated Microsoft FrontPage menagerie, so basically anything I did would be a big improvement. I spent around 20 minutes creating a simple design in HTML, and then several hours editing, rewriting, and refining the copy. In the end, I reduced a scattershot 25-page website down to about 8 focused pages written in a friendly tone. My next instinct was to apply our great modern web toolset to the site. Let’s add a static site generator or a CMS! Let’s add Sass and a grid system! Let’s do more fashionable things! Then I started looking at those tools critically. 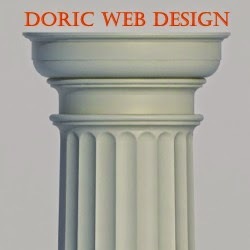 A static site generator usually requires knowing Markdown and esoteric commands and configuration. A typical CMS will need setup, logins, security patches, templates, and maintenance. Even hosted CMSes have a lot of cognitive overhead, and the content is trapped away inside someone else’s system. These are tools made by geeks, for geeks. Why do we need a CMS for an 8-page site? And for that matter, why even bother with Sass? Regular old CSS can do the job just fine. Who knows who will take over the site in the future. I’ll hang with it for a while, but someday someone else might have to work on it. It would surely be easier to do that with 8 simple, straightforward HTML files than with some custom WordPress installation that’s several versions out of date. So what if I have to repeat the navigation markup 8 separate times? It’s not that hard. We used to do it for much larger sites! Today, a basic HTML/CSS site seems almost passé. But why? Is it because our new tools are so significantly better, or because we’ve gone overboard complicating simple things? As builders, we like tools and tech because they’re interesting and new, and we enjoy mastering them. But when you think about the people we’re building for, the reality is usually the opposite. They need simple designs, clear writing, less tech, and fewer abstractions. They want to get stray animals adopted, not fuss around with website stuff. Creating a website is a fantastic way to promote your business or cause, but encouraging people to visit your site and making it stand out requires knowledge, skills, and time you may not have. Here are five great tips for improving your website, store or blog—and some resources available in case you need help putting these ideas into action. The truism that you have only one chance to make a good first impression definitely applies to your site, and that first impression is always visual. Basic themes, fonts and page styles are the perfect place to start, but you’ll also want an attractive logo and some high-resolution graphic images that support your messaging and show off your products. Not a graphic artist? Think you can’t afford to hire one? Don’t worry. In today’s Gig Economy, you can find affordable designers and graphic artists who can help you make your site look just the way you want: professional, fun, elegant, you name it. Once visitors are interested in your site, you need to give them a reason to stay—and that means engaging content. What kind of written content can you present besides your product and service descriptions? A well-written and regularly published blog is one of the best additions to your site. It provides a forum for you to repeat your messages and encourages visitors to come back again and again. You can also create customer success stories, offer history and trivia related to your topic or industry, provide a list of frequently asked questions (FAQs), and include links to related sites. If you aren’t a great writer or don’t have the time to write, you can find great writers on service marketplaces, freelance job sites and by checking with friends, colleagues, and customers for references of writers they rely on. Another form of content is high-quality video and animation. If a picture is worth a thousand words, then a few seconds of high-quality video and animation may be worth 2,000 or even 10,000 words. A professionally crafted video reflects the care you take with you products and services. Whether it’s a video of your product, a customer testimonial, or even just you speaking about your cause or passion, video engages visitors and encourages them to stay on your site. Whiteboard animation is also great for explaining complex ideas in a way that is highly engaging and fun. Now that your visitors are engaged, you want them to tell others about your site. Don’t forget to leverage social buttons that will encourage people to share your site on Facebook, Twitter, Pinterest and more. And while you’re at it, you may want to create your own social accounts on these sites and participate in relevant communities. To propel your online presence into the 21st century, it’s essential to use various forms of online marketing. If you feel you don’t have time or enough knowledge, you can seek help from experts who offer these services at affordable prices. Whether you are looking for an in-depth SEO optimization report, tips to increase traffic, or a virtual assistant who can take on tasks such as data entry, research or accounting, the ability tap into outside experts can help take your website to the next level. Before you start marketing on Facebook, think about your marketing goals. Do you want people to buy a t-shirt from your brick and mortar store? Looking to help people discover your photography business for the first time? Or just purchase some of your custom jewelry online? Pages are what companies, non-profits, and public figures use for their presence on Facebook. It's free and fast to set one up and it creates an instant presence on desktop, mobile, and tablet. Facebook recently announced a new, more streamlined look for Pages so it's easier for visitors to find what they're looking for about your business. Compelling content can take many forms. Tell your story through product photos or share links to upcoming sales and relevant industry articles. Reach more of the people you care about by boosting your posts. You can also get inspiration from other businesses like yours here. Check out Page Insights to see what kind of people connect and engage with your Page. Is it mostly men? Women between the ages of 18 and 24? Do posts with photos perform better than text-only updates? You can answer these types of questions from the Insights tab at the top of your Page. If you own a business you’re going to be busy. If you find yourself away from the computer and need to make an update, the Pages Manager app can help you manage your Page on the go. You can publish content, edit your Page, boost posts, and view Page insights straight from your phone. Get it in the iTunes Store or Google Play Store. Many of the world’s websites suffer from mistakes that can dramatically impact their effectiveness. We’ve compiled a list of the 17 common mistakes with helpful advice on how to avoid them. Many of the world’s websites suffer from mistakes that can be easily avoided. It is our hope that this list will help you to ensure that your site is not similarly afflicted. Some of these problems merely result in irritation, whilst others will inhibit or prevent visitors to your site from accessing the material or functionality that you have placed there. No matter how well or how poorly your site is implemented, by far the largest mistake occurs when the website’s role in the overall strategy of your organisation has not been well thought through. Only once the strategic purposes and role of the site are understood can the site be built in a manner that achieves those objectives. For a pilot, this is akin to bringing your plane in for a nice, smooth landing only to find out that you’ve landed at the wrong airport. Have you looked through an FAQ page and been irritated by the irrelevance of the questions? Have you wondered if the questions had ever been asked, let alone frequently? If so then you’re not alone. Many sites no longer have FAQ pages and have instead updated their content to provide that information. However the point here is not so much about how fashionable the FAQ is or isn’t - the point is that all of the content on your site needs to be relevant to the people who are likely to visit the site. Relevant content will give them a good impression and will increase the likelihood that they will take the next step towards becoming a customer. There is some point when someone wants to start his own business in the internet that requires him to buy a hosting and a domain name. There are a lot of free hosting services in the internet if you want to search. Domain names are the same. A lot of free domain names available for free in the internet. I always recommend for first timer to search and try free services available in the internet, like free blog at blogger.com or wordpress.com. Even Friendster also offers a free blog service. There are free domain names available in the internet like .co.cc or .co.nr. I still remember the first time I use .tk as my domain name. All of those free domain name and web hosting are cool and worth to try, but like I said at some point we will need a paid service. There is a good Website Hosting service called Namecheap. While originally it is UK hosting company but it also gives service globally. The most important thing you will look for if you choose a web hosting service is the support (choose those who has 24×7 support via phone, chat and email), uptime guarantee (no company can guarantee 100% uptime, but the more the better). The other factor like price and features can be compared among the other services and it depends on what you need. · Optimizing a slow-performing system requires a number of diagnostic and repair steps, often with interruptions along the way. This basic checklist will help you cover all the bases. · Slow performing workstations trigger numerous help desk calls. The complaint is common within IT departments and among most every IT consulting client. Culprits, however, are as varied as users. · Sometimes slow operation is due to a failing hard drive. Sometimes active virus or spyware infections are to blame. Still other performance issues can be tied to too many applications being installed, fragmented hard disks, or corrupted installations. · Isolating problems and correcting slow-performing desktop or laptop systems could be easy. If that were all IT professionals and consultants had to do, the process might actually even be enjoyable. But it’s not. The process is frustrating, sometimes vexing, and occasionally maddening. · While you’re trying to remove a Trojan infection with surgical precision to save reinstalling an OS, reloading seven applications for which the user or client no longer has installation media or registration keys, and re-creating a host of undocumented but intricate and critical settings, the phone is ringing. Projects are falling behind. Printers are failing. Servers are crashing. · Most small companies, and certainly most small businesses, don’t have libraries of disk images that can be used to redeploy client desktops when such troubles arise. Instead, many IT pros have to go old school and manually repair systems. That’s when a strong checklist comes in handy. A simple one-page document can prove incredibly helpful in quickly addressing the most commonly required tune-up tasks. · This is especially true when you have to repair a slow-performing system while also juggling multiple other tasks — which is nearly always. I’ve yet to meet a support technician worth his or her salt who repairs only a single workstation at a time. Most professionals repair six to 10 PCs simultaneously. And if you’re forced to repair a system onsite or in a user’s office or cubicle, said user may insist on making small talk, or more likely, will ask you to answer numerous complex technical questions while you work. · Distractions are problematic when performing tune-ups or trying to isolate viruses and spyware. It’s easy to overlook important steps (such as performing a quick check disk operation to verify data and hard disk integrity). Unfortunately, real-world distractions are plentiful. You’re not likely to have the luxury of a few uninterrupted hours to complete a tune-up, system optimization, or malware removal session. · One good way to stay focused amidst competing demands is to use TechRepublic’s Tune-up Checklist. Clients and users can chat all they want. The phone can ring, and email notifications can momentarily command your attention. By working through the checklist, you won’t forget critical steps. From leveraging common repair tools and utilities to remembering to confirm proper backups are in place, the checklist covers all the important tasks and processes. And you can record notes and other information as you go, providing valuable reminders for follow-up work or quick review sessions with end users and clients.